The average Google AdSense CPM is a subject of serious debate for webmasters all over the Internet, and the answers vary all over as well. It is against the terms of conditions for Google AdSense for any site publisher to disclose its click-through rates or other statistics about a site’s performance. But enough information has been posted online to make some general observations about what to expect with CPMs (cost per thousand impressions), which are the result of the ad click-through rate and the revenue per click. Research from firms such as Forrester, access to client results and anecdotal evidence all point to average online CPMs of less than $10 for ads sold directly by salespeople representing online media sites. AdSense CPMs are smaller than direct sales CPMs because Google takes 32 percent of the revenue for its sales efforts and technology costs. 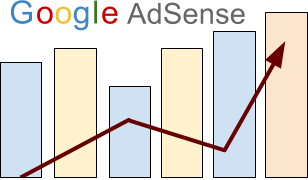 Individual AdSense ad units often have net CPMs — after Google takes its share — in the range of $2 to $3 for many publishers, which is in line with the national average for banner ads. Unfortuntely, this number is declining over time because the number of websites and website pages is growing faster than website advertising. In brief, it is possible to exceed $10 per thousand page views for a site that relies entirely on AdSense. But the final number depends on a number of factors. If a site has three ads per page, the effective CPM for each ad position is an average of $3.33 or $10 per thousand page views divided by three ad positions. The $10 number is simply a benchmark. In reality, some sites can do much better while others never even come close. More on that below. The first consideration for expectations about an AdSense CPM is the business category of the Web site. It is well-known that certain categories attract strong advertiser interest, including travel, health, financial, real estate, employment, automotive and technology. Other categories do not perform as well, such as news, weather, forums and sports. So anyone thinking about implementing AdSense or another contextual advertiser should consider the category first. It follows that certain subcategories deliver a higher AdSense CPM than the overall category. A site that focuses on job listings might find that the health care subcategory outperforms the human resources subcategory while the administrative assistant subcategory underperforms. In that case, the webmaster might try implementing contextual advertising in just a subcategory rather than throughout the entire site. In fact, anyone new to contextual advertising might want to experiment with it in just one channel of the site that has the greatest revenue potential. Sophisticated contextual advertising sites learn how to track performance by channel to determine if the ads deliver a higher CPM an alternative revenue source. In my experience with managing large media Web sites, I have found that launching a big AdSense campaign throughout an entire site or group of sites will often produce disappointing results. Start small, learn and experiment, then expand. AdSense optimization is a form of search engine optimization. It means that a site owner or manager should optimize the pages for AdSense in a similar way to how they are optimized for search engines. I have learned the hard way that a page that doesn’t clearly identify a category or subcategory is not likely to receive good ads. In other words, make sure the page title, headline, body copy, alt image tag and other standard SEO techniques reflect the kind of ads you want to see on your page. A page with a title of “Antiques for Sale” or “Current Job Listings” will receive ads that are general in nature. Those ads will get a lower click rate and lower revenue per click. That same page with a title of “Antique Silver Flatware of Sale” or “Charlotte NC Health Care Jobs” will receive much more targeted ads. It’s all about relevancy and precision. Put the ads near the top of the page. Place them on the left side or center of the page rather than the right. Make the display similar to the surrounding content. But make it different enough that they don’t appear to trick the visitor into thinking they are actual content. On a related note, use colors that complement the site rather than mimic it exactly. Optimize the surrounding content to attract the most relevant ads. Moderate the number of ads per page. Too many will reduce the click rate. Use larger rather than smaller ad sizes. The last item is often overlooked. Some sites actually do better with link units than display ads. Some get little revenue out of link units. Their performance depends on placement and, once again, the site’s content category. The tactics above also contribute to a higher click through rate. It results in Google delivering better quality ads. Again, the results come down to click-through rates and revenue per click. And again, no site is allowed to share that information. But other sites and webmasters who have posted such information claim that any AdSense click through rate for a page of less than 1 percent is underperforming. Anything over 5 percent is outstanding. A number of posts speculate that around 2-3 percent is average. This number is most impacted by the implementation tactics. Based on my experience, those are good benchmarks to follow. The average revenue per click is more impacted by the categories (along with the economy and time of year) and varies greatly from one to the other. But various posts throughout the Internet suggest the average is well under $1 and probably lower than 50 cents. Certain highly targeted and effective sites might see a revenue per click above that number. Poor performers may be lucky to average 10 cents a click. But a poor performer with CPCs might make up the difference with higher clickthrough rates. These numbers translate the AdSense CPC performance into what Google calls an eCPM for individual units or an entire page based on the number of ad units on that page. More ad units on a page potentially increase the eCPM for the page if a site uses the standard three display positions plus three text ad units. A site that depends heavily on AdSense might consider a $10 eCPM as a benchmark for achieving above-average performance. Keep in mind that a $10 eCPM with two ad units per page equals a unit CPM of $5, while a $10 eCPM with three units per page equals a unit CPM of $3.33. A $10 eCPM with two ads on every page and a 4 percent page click-through rate receives 40 clicks for every thousand pages. The average revenue per click would be 25 cents ($0.25 x 40 = $10). The ad unit click rate would be 2 percent and the CPM would be $5. A $10 eCPM with three ads on every page and a 4 percent page click rate still receives 40 clicks fo every thousand pages. The revenue per click is still 25 cents. But the average ad unit click rate would be 1.33 percent and the CPM would be $3.33. Sites that launch AdSense and walk away from it thinking they will get a big monthly check will end up being disappointed. Sites that launch AdSense, analyze the results and focus on increasing the numbers will usually end up being glad they did. you are very right some subcategories does pay alot speacialy finances and insurances niches ads. Something to add to your comments on category as well is that if you’re trying to make money from adsense the category is something to consider very soon (i.e., before launch). Start in the wrong category, and you may find there is simply no money to be made from the ads. Agreed. Even worse, start with a good category, make decent money and suddenly get hit by a Google algorithm change that squashes the ad revenue for that category. (Other folks have also said this particular category got hit.) I just experienced that problem on a stable site that has been providing predictable results for six years. This article is very interesting, but you are misusing the term eCPM – it and CPM should be reversed in your example (if Google is paying $10 CPM on page views then splitting it by ad unit would give you an eCPM of $3.33 per unit – the e stands for effective or equivalent and is used for times you don’t have a direct CPM). Also the average CTR for online advertising is 0.1% not 1%. Solid optimising tips though – except the one about having ads on the right (I haven’t heard that one – can anyone confirm or deny?). When the CTR increase, CPC decrease. When CPC increase, CTR decrease. The RPM for some sites can be low depending on a number of factors — their age, the amount of content, how often they are updated, the size of their audience and whether they have a lot of competition in that category of business.